Destinations • Max Blog • Max. your best interest. 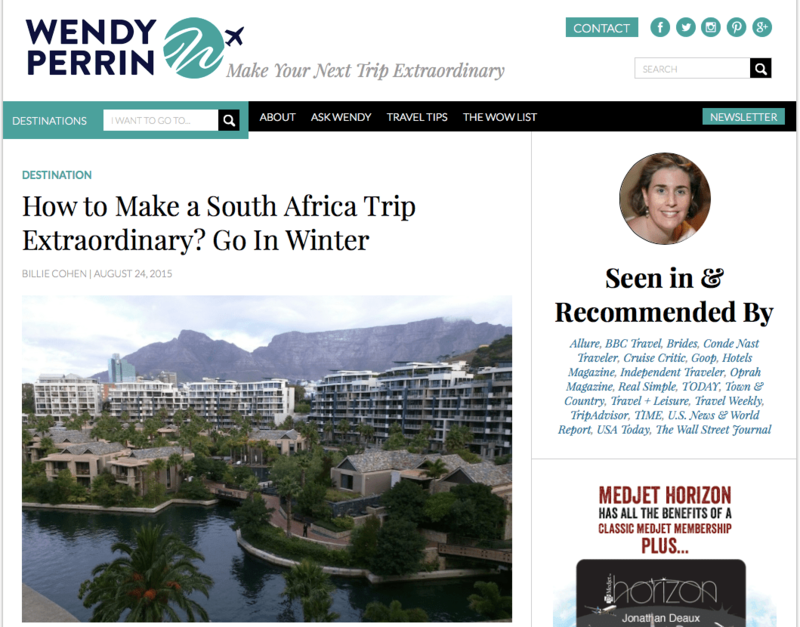 Wendy Perrin’s blog showcases interesting places and smart ways to travel. What do you do with all the extra interest – found money – that you earn from your Max membership? Many Max members put it toward their travel itineraries. We’ve put together a list of our favorite luxury travel blogs and sites. Travel expert Wendy Perrin — you know her from her years at Conde Nast Traveler — shares her experiences and those of her husband and kids on this blog. Aimed at families who want to travel in style with a twist, Wendy’s blog spotlights destinations you hadn’t considered and other tips from travel pros: “Would You Take the Plunge Into an Icelandic Volcano?” Wendy’s team of writers and photography contributors also gives you the inside scoop on adventures that look too crazy to try: “I Can’t Believe We Did This: Mountain Climbing in Whistler.” The blog is a smart traveler’s guide to issues such as what to do in Barcelona and the best places to go in September. Bringing a new dimension to luxury travel is Equitrekking, which discusses horse-related travel of all kinds. Darley Newman, a rider and journalist who hosts the Equitrekking TV series, blogs about trends in equestrian excursions, from Assateague Island in Maryland and Virginia, famous for its herds of wild horses, to the Dublin Horse Show. Max Luxe did a Q&A with Darley on what she’s seeing on horseback, including Botswana riding safaris. Whether or not you have experience riding, a trip by horse can be a fun and novel way to see the world. We love these petite and chic city guides, which fulfill their promise of telling it like it is about the some of the world’s most interesting places. Not only do they tell you where to go, they tell you where not to go, which is often more valuable. You can buy or download the guides or get the app, but the site also features takeaways like where to shop in Miami for hot shoes (Del Toro) or how best to see the Great Wall of China: “Its status as one of the 7 new wonders of the world (and its sheer magnificence) means this stone fortress is a must see… But it doesn’t mean you have to put up with busloads of yelping tourists and queueing with the hordes to climb the endless steps.” This signature tone — like a snarky but always in-the-know friend — imbues Luxe’s work. If you typically reach out to your besties for this kind of advice, Luxe is a site for you. The luxury-lifestyle magazine Monocle has a line of paper travel guides which get you from city to city with verve. Online, the site also offers quick takes on individual destinations to read or download. In Aspen, for instance, Monocle tells you where to buy unique boots (Kemo Sabe) and offers advice on restaurants by occasion, including “Leisurely breakfast,” “Lunch on piste,” or “Big dinner with friends” (Matsuhisa, naturally). Each destination has five “Essentials,” the top things to know, and an archive of related magazine articles, posts, and podcasts from Monocle.